Keep bandages always handy using the Bandages in Plastic Case. This attractive case is available in many colors. Keep bandages always handy using the Bandages in Plastic Case. This attractive case is available in many colors. Imprint your logo on the case using standard pad-print colors and increase your brand promotion in a safe way. 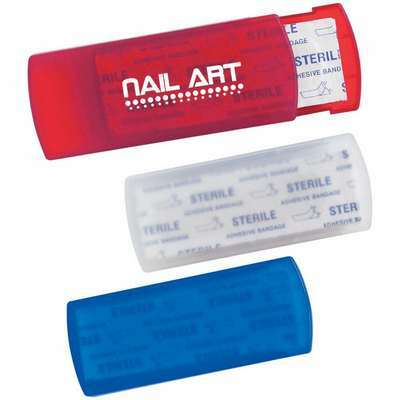 The bandages are latex free; easily access them using the top slides that open the box. When used, these bandages will create a good impression of your brand as one that helps overcome small inconveniences that are part and parcel of daily life.